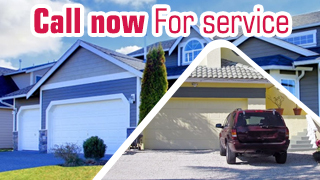 Rely on Us for 2Urgent Services! Do you hear loud noises coming from the garage door? Don't worry about repairs! Just give our company a call and rest assured that the technicians of Garage Door Repair Sanford will take care of any problem and any part. Whether you just need lubrication maintenance or some components are worn, be sure that our service will be impeccable. Rely on us for urgent services! With excellent teams and great infrastructure, we're here to assist you any time. We take pride of having the most efficient repairmen in Florida at our company and so services are not only fast but also done with precision. Get in touch if it's time for annual maintenance! We have the most thorough technicians and can assure you that our service is meticulous and the best solution to all issues. Noises will disappear along with problems and all worn parts will be replaced. Call for an appointment!